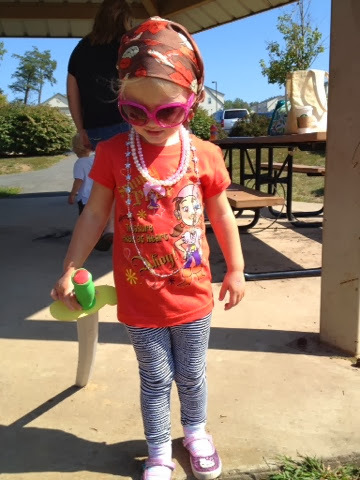 With it being Talk like a Pirate day we decided to join some friends at the park to picnic and play. We being all for this type of fun made even more exciting by dressing the part. 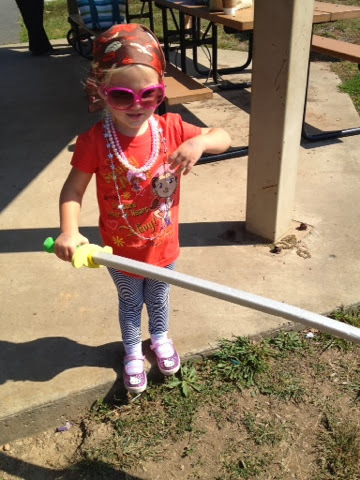 Although Adelynn's outfit lasted about 5 minutes it was fun watching her run around like a pirate.